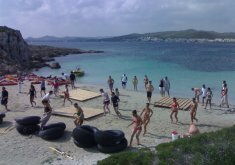 Wooden rafts is an activity focused specially for scholastic groups because this is a teamwork and achievement of collective target. Dia Complert adjust the product to your needs, examining and organizating all kind of activities for scholastic groups, companies and cruises. 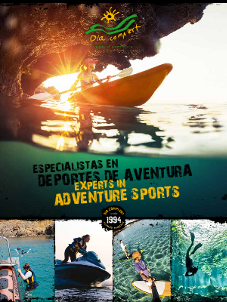 It is possible to do different combinations of kayaking, snorkeling, wooden rafts, hiking, mountain bike, boat trips, etc. You just may to contact with us and we will let you know all the opcions. This is an activity for groups. Is very funny and mixes kayaking and wood rafts building.